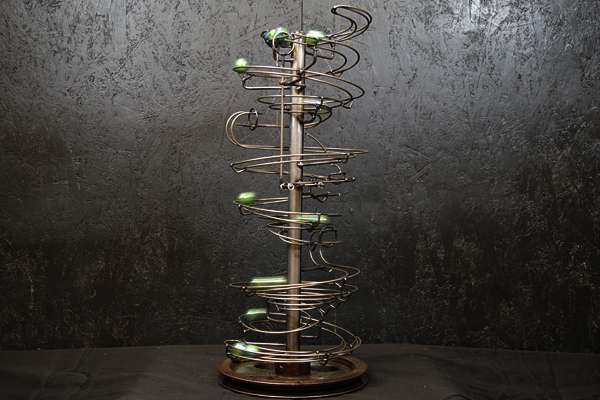 A single track semi-automated industrial style desktop sculpture with three flat spirals and a couple of drop down sections. The base is an old cast iron pulley with it's original green colour. The main part of the sculpture is powder coated in a clear coat and uses 25mm glass marbles.